Remember the book I just reviewed by Hena Khan? She wrote Night of the Moon: a Muslim Holiday Story. Well here’s another story she wrote that is one of my favorites. So far my favorite Eid story is Under the Ramadan Moon by Sylvia Whitman, and one of my favorite general Muslim stories has got to be this one. The illustrations are gorgeous, almost like a 3D Pixar movie. Pair that with Hena Khan’s rhyming words, and you have a great story. I like this story better than her Eid story. I also liked the quote with Grandma and the illustration that went with it. I don’t have a photo of that page, so go buy or check out the book. 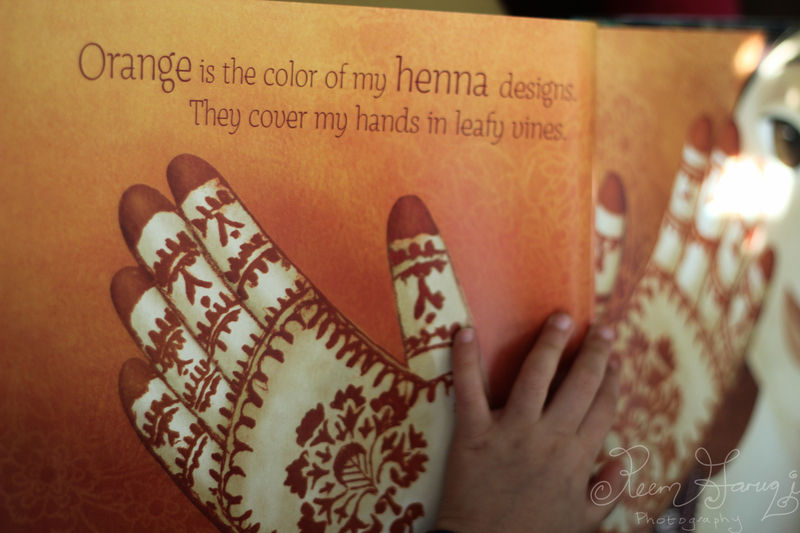 Z’s thoughts: Z really liked the Henna page so included that one below. She enjoyed the big pictures and the rhyming text. The rest of the story has beautiful pages and for each color is a simple rhyme. The story has a Look Inside! feature on Amazon so just included a couple of my favorite pages below. I really enjoyed this simple story of A Muslim Book of Colors as I love colors, so this book made me feel good reading it. 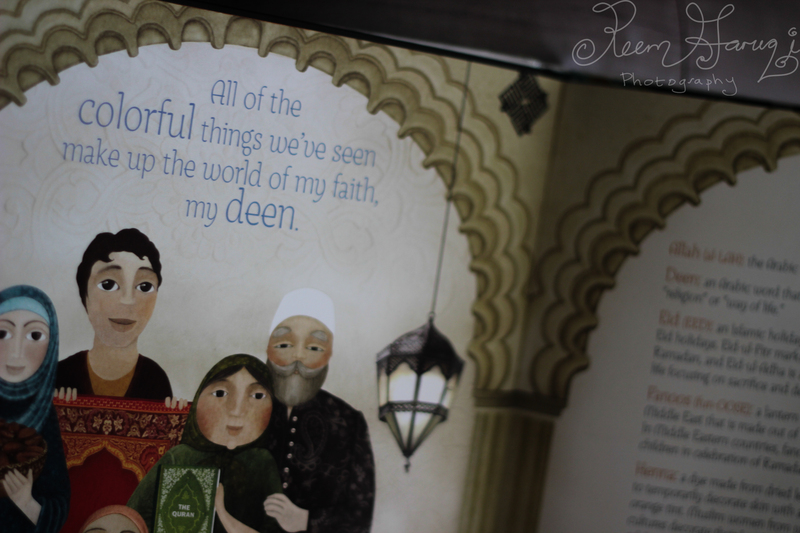 Amazon’s thoughts: Magnificently capturing the colorful world of Islam for the youngest readers, this breathtaking and informative picture book celebrates Islam’s beauty and traditions. 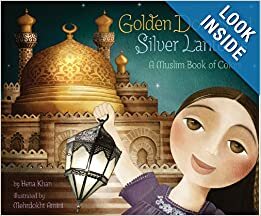 From a red prayer rug to a blue hijab, everyday colors are given special meaning as young readers learn about clothing, food, and other important elements of Islamic culture, with a young Muslim girl as a guide. 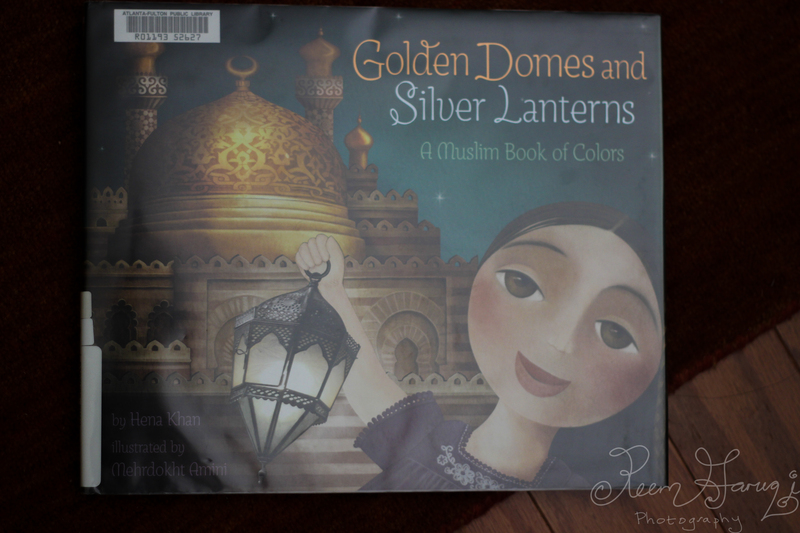 Sure to inspire questions and observations about world religions and cultures, Golden Domes and Silver Lanterns is equally at home in a classroom reading circle as it is being read to a child on a parent’s lap. This book has great reviews on Amazon. Recently, though I read an article where a father in my local state of Georgia was upset his child found this book at a Book Fair and complained to the school saying, “I don’t want this culture around my children, let’s get them educated first. 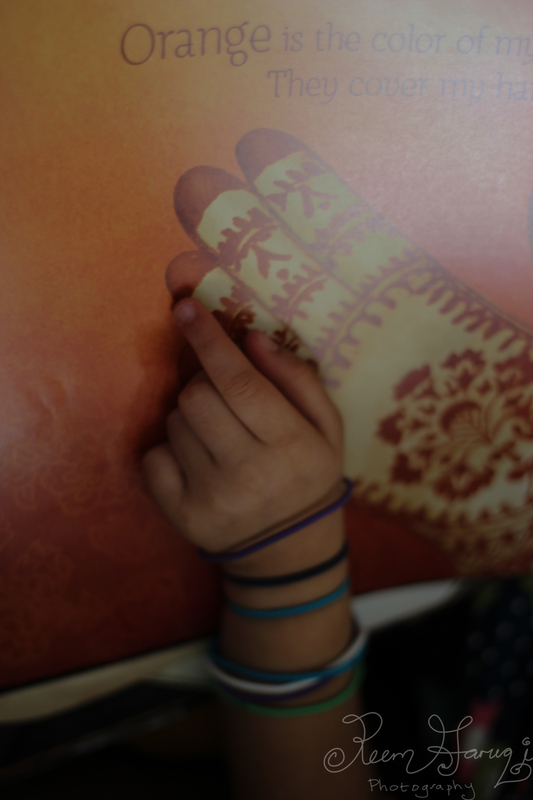 Learn to read and write before we start teaching (about) the fanaticals.” You can read more: The Marietta Daily Journal – Father upset after child finds Muslim book at school fair . Picture books are a way to educate people about a variety of issues, so I found his comment disconcerting to say the least. I used to have a student who was a Jehova’s Witness who checked out 2 library books on Christmas and birthdays; Jehova’s Witnesses don’t celebrate holidays so her book selection was interesting. I hadn’t realized she had checked out these books and that it was an issue until my student’s mother sent in a polite note asking that her child not check out books like these on holidays. I admire the mom for the way she handled the matter and wrote about it here.. I wish this dad had handled it as well as she did. We have the right to good quality children’s books, and the right to choose whether we want to read them or not. I posted the article from the Marietta Daily Journal to Facebook about the upset father and 2 of my teacher friends wrote that the book looked great and went ahead and purchased it online for their classroom libraries. So I guess that father didn’t know that his attention may actually be causing a deeper interest in the book rather than against the book. Yay for teachers open to multicultural books! Pictures below! There are more gorgeous ones on Amazon under the Look Inside! feature so be sure to take a look there.